Are you struggling to fit in exercise because you have little ones? Do you leak when you laugh or cough? Do you feel weak around your belly & lower back? Do you feel tight & uncomfortable from all the demands that come with caring for a baby? MoveMuma sessions are safe and effective workouts designed by a Mum, and a Post-Natal Exercise Specialist to get you to work up a sweat and feel fit, energised and strong! We hold 4 blocks of training per year, approximately 10 weeks per each block, which is guided by the school terms. These group exercise sessions have been designed so that you will either be undertaking a cardio-based or strength-based exercise. We will always include some core connection, strengthening and endurance and a good stretch. We also work closely with Women’s Health Physiotherapist’s to ensure we know what is happening on the inside. We work to look after your pelvic floor, assess for abdominal separation and re-train muscles that have most been affected by pregnancy, childbirth and caring for a young child. Stretching out tight muscles to ensure you get a fabulous well-rounded workout and feel ready to take on the day ahead. 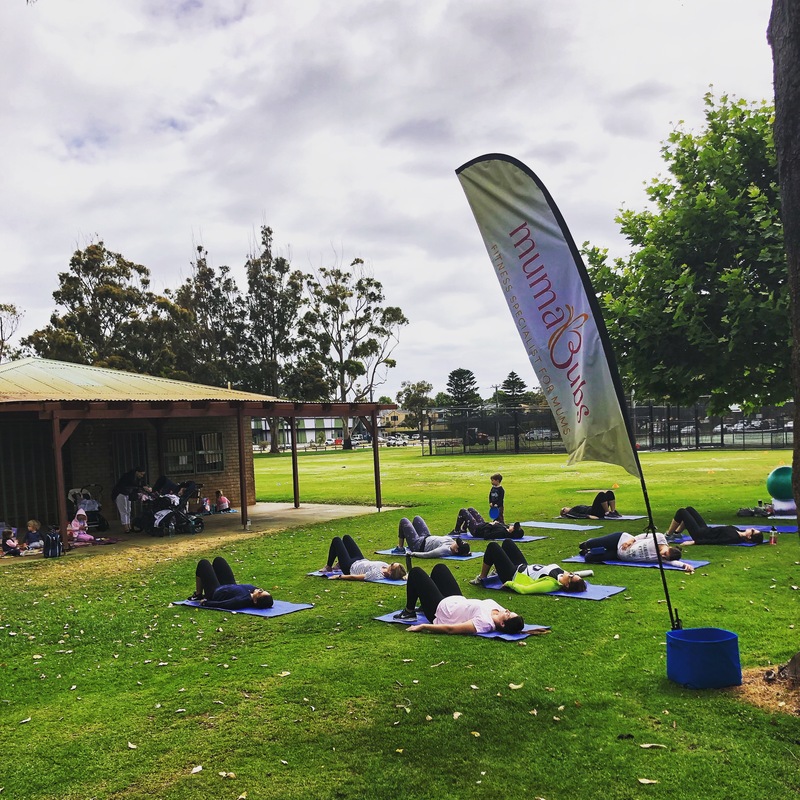 Tuesday @ 6.00AM – A 45 minute MoveMuma session, held at Carine Open Space, for those early risers. There will be no childcare available, however, it is the perfect opportunity for you to get out & get your session done before the day has begun! What is you could have an hour to do a fitness sessions while your toddler or pre-schooler was having their own fun fitness and movement class in the next studio? We are partnering with Empire Creative Studios to enable you to get some fitness in while your little one has their own activity. And, if your little one is too young or not interested, that’s ok. They can still hang out with us. There will be no onsite childcare at this session. Contact us for more information about Mums & Tots sessions at Empire Creative Studios. All sessions offer different levels for all exercises, so no matter what your current fitness level, participants can work at their own level and at their own pace. We can make exercises either harder or easier, so matter where you are on your ‘mum’ journey, we will work with you to safely and effectively return to exercise and enjoy a fulfilling workout! And you will get personalised attention while enjoying the benefits of being with like-minded women who are all mums and know what being a mum is all about! If your children are younger than 4-6 months AND/OR you are just returning to fitness for the first time following the birth of your child, we recommend and encourage you to consult with a Women’s Health Physiotherapist. Every woman’s body is different, and every woman’s journey has been different…. if you’re ready to get started, then contact MumaBubs today! We’d love to have you join us!